We see a wide variety of people for individual, couples, teenagers, and family counseling. Please visit the Counselor Profiles page. Select a counselor based on specialty and availability. Call your counselor-of-choice for a brief conversation about working together. Once your appointment is scheduled, fill out the appropriate intake forms and either fax, email, or mail them to us. We regret that we are unable to accommodate walk-in appointments and cannot guarantee same-day appointments. For counseling to be fruitful, you and your counselor must establish trust. It may take a few sessions for your counselor to get to know you before moving into actual therapy. In the early stages, you can expect your counselor to ask many questions. Your counselor will work with you to define the presenting problem you’re seeking help with, discuss your goals for counseling and determine next steps. Because counseling is dynamic and interactive, you should feel free to ask questions to help you connect with your counselor as you progress through the counseling experience together. 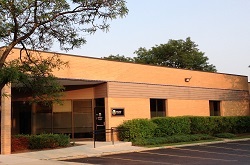 425 Huehl Rd., Building 19B in Northbrook. Our building is in the Sky Harbor Business District of Northbrook, between Lake Cook Road to the north, Dundee to the South, Sanders to the west, and Pfingsten to the east. 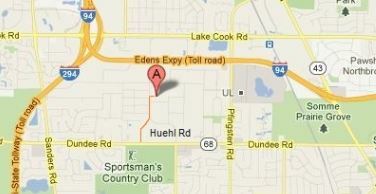 View our directions page. Some of our counselors are available for evening and weekend appointments. See the Counselor Profiles pages to find out who is available when you are! Because each case is different, your counselor will ascertain your needs and discuss a treatment plan with you. You must notify your counselor 24 hours before your scheduled appointment time to cancel or reschedule. Otherwise, you will be responsible for the full fee. Please see our cancellation policy in the Contract for Services. Please contact your counselor directly at the phone number they provided to you when you scheduled your appointment. Leaving a message on our general reception line does not ensure that your counselor will be notified. Do you have a psychiatrist at North Shore Counseling? We have a network of psychiatric referrals and we will work with your psychiatrist to coordinate care. It is our policy to recommend current, active clients only to psychiatrists, and not to make referrals to the general public. Our fees are $150 for a 53-minute session. We have a complete schedule of fees here on page 2 of the Contract for Services: Current Fee Schedule. If you feel you might qualify for a reduced rate based on financial need, you can find our Fee Reduction Application here. We are in-network providers for Blue Cross Blue Shield, Aetna, and United Behavioral Health. For all other insurance carriers, we are “out-of-network” providers, but we will bill on your behalf in most cases. Your decision to bill through insurance is important. Please see our Insurance Declaration Form for information about insurance billing. We are getting married and our church is requiring us to get pre-marriage counseling. Can you provide us with that? We have trained Prepare/Enrich facilitators on staff. Prepare/Enrich is an assessment tool and subsequent counseling process that many churches will accept as pre marriage counseling. Pre-marital couples take Prepare/Enrich online and generally work through the results with a counselor in 3-4 follow up sessions. The cost of this program is usually $400-$500. Check with your church to make sure this program will be acceptable.